Go beautiful and green at the same time with a reusable cup such as KeepCup, ECoffee Cup or Frank Green. You can find beautiful plastic and glass KeepCup at your local cafe such as LoveSupreme Stoneybatter, Joe’s Coffee at Arnotts, CoffeeAngel (Trinity St, South Anne St, South Leinster St), and Project Black Espresso by TWOFIFTY SQUARE. They are all open today and tomorrow for you to grab them. Frank Green cups are available at Thru The Green Coffee (open tomorrow from 9am). 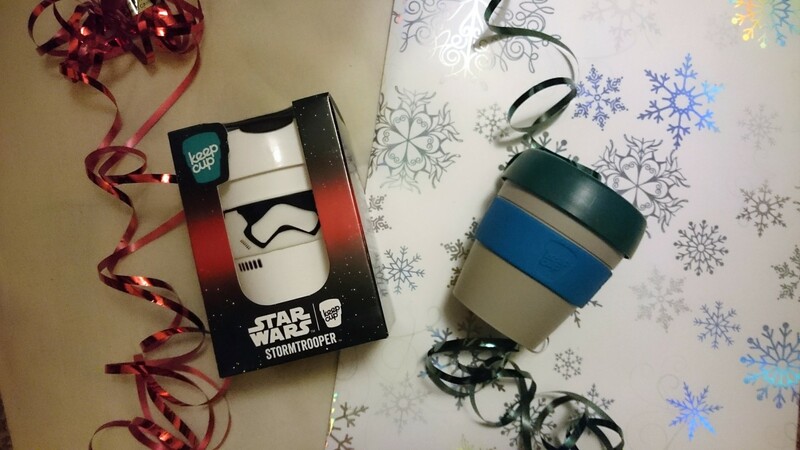 If the coffeeholic is a fan of Star Wars, check out CoffeeDesk.com as they have some awesome Star Wars inspired KeepCups. True, the present will arrive after Christmas. However, it will definitely make your coffee drinker extra giggly. With over 200 million of non-recyclable cups disposed of each year, according to the Conscious Cup Campaign, it is important to help reduce the number of disposable cups that cannot be recycled. Think eco, get a fabulous reusable cup. Portable, easy to use and clean, an AeroPress is the ultimate travel companion. You can get this wonderous piece in many speciality coffee shops and cafes across town, including Joe’s Coffee at Arnotts, CoffeeAngel and Kaph, all opened tomorrow. Wondering why coffee subscriptions are epic? Number 1: You offer someone a trip around the global one cup at a time, with fabulous coffee delivered to their door each month. Number 2: You can book them online even on Dec 25th, if needed. There is a lot of great offers to choose from. 3FE’s Lucky Drip Subscription and Momentum Subscription will fix you with weekly, fortnightly or monthly deliveries. Bewley’s Coffee Project comes in 3, 6 and 12-month options. The Old Barracks Roastery offers you two different coffees with each delivery in their 3,6,9 and 12-month subscriptions. Depending on your needs, or your coffeeholic’s appetite for new coffee, you can browse and select through different plans. Let’s be honest, hampers are great. They are pre-packed, pre-selected and ready to land on hands of a thirsty coffee devotee. From a gear hamper to coffee hampers, you can mix and match to your heart’s content, and your wallet’s willingness to pay for that. Joe’s Coffee at Arnotts boasts a few lovely hampers to pick from. CoffeeAngel, Ebb and Flow or LoveSupreme Stoneybatter can help you put together a nice hamper of the caffeinated goodness for your fave coffeeholic. If you need something different, think a potted Coffee Arabica. LoveSupreme Stoneybatter had got a few nice coffee plants up for grabs (€9.50 each) at their Stoneybatter shop – drop them a message if they are still available as the number is limited. Industry & Co sells a Pikaplant (€69). It is a coffee plant sealed airtight inside a humid biotope. Both shops are opened tomorrow, so you don’t need to rush. 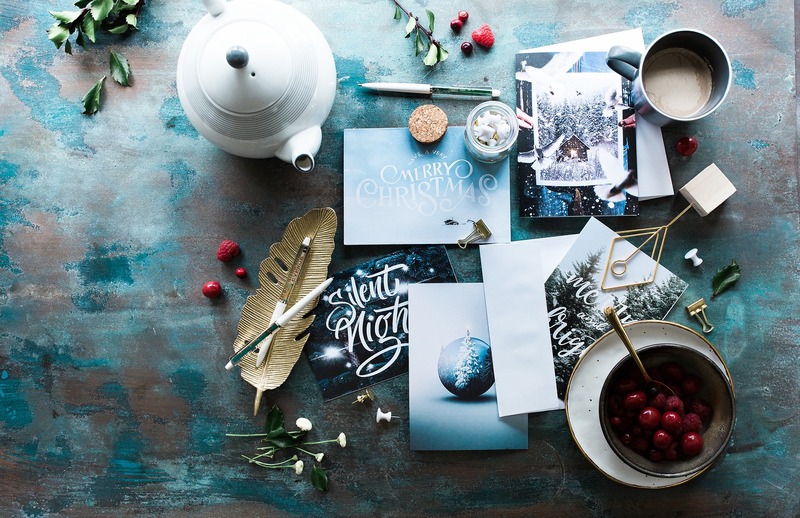 Hopefully, this mini-list of festive gift ideas will help with your Christmas shopping. These are five Christmas prezzies that I would love to find under my Christmas tree. And remember, don’t stress out too much about buying presents. The most important thing is to enjoy your holiday break with the family and friends. Merry Christmas!